Today I’d like to share a patriotic outfit with you all today in spirit with the 4th of July coming up! 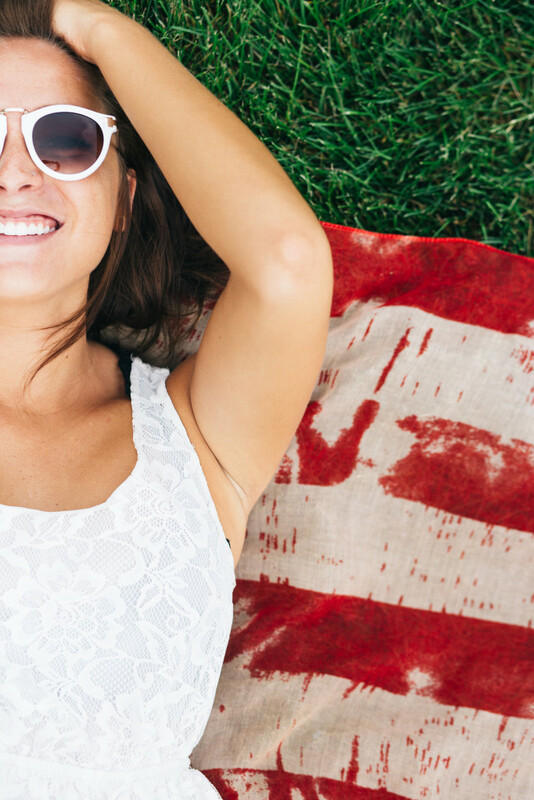 This white, fit & flare, lace-y dress for this Fourth of July are instant stars! Now that summer classes’s finals are over with; I now have a white dress to start my summer off with a clean slate. 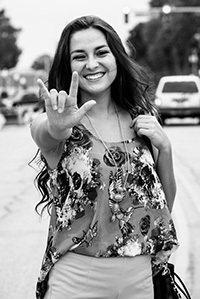 Shout out to all my college friends who just finished their summer classes! Now that 4th of July is finally here! 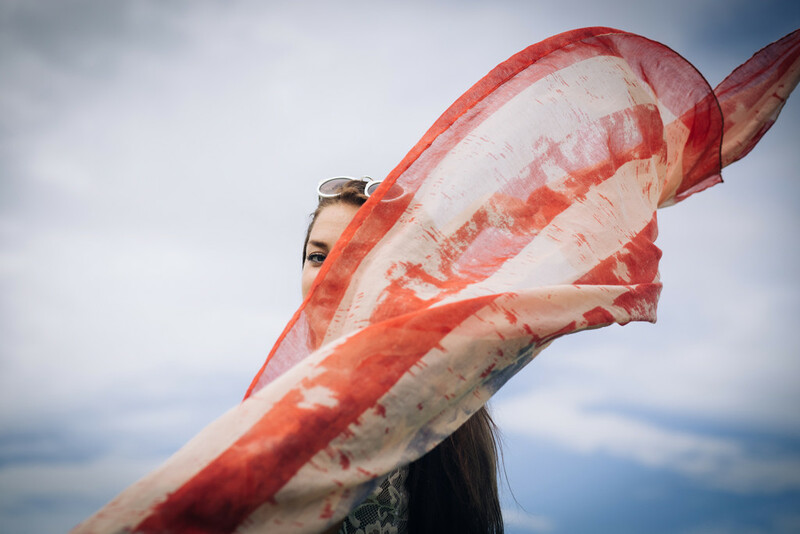 Dress for this occasion with a fun lace-y white dress, and add an American flag scarf to emphasis the spirit! This dress was from Forever21 for only less than 20 dollars! The light-weighted-scarf was from Target and was priced for $14.99. 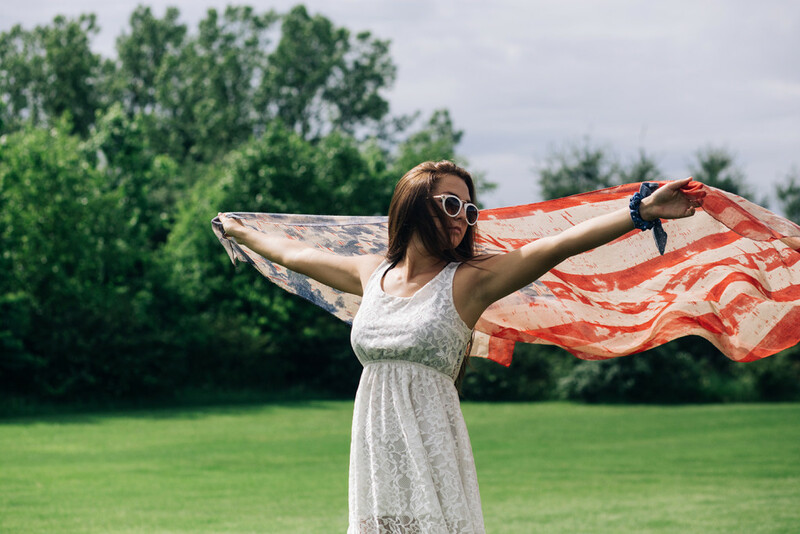 Here are several points how to have a killer 4th of July outfit! 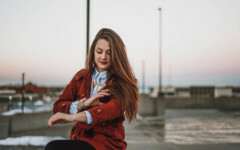 Point one: Depending on where you’re celebrating, it should be noted that you don’t always have to dress in stripes and stars, to show your “All-American” pride. It’s all about the statement pieces you throw together to make it POP. 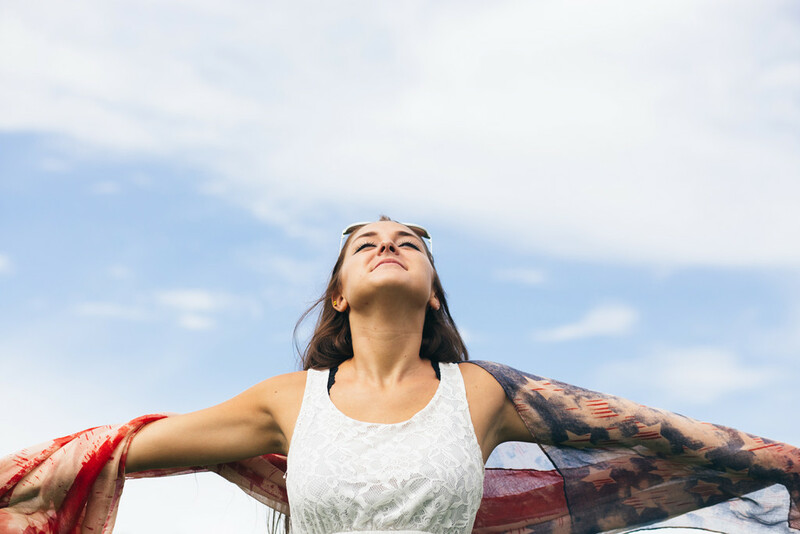 Show your pride in one piece- keeping it clean can be the most mutual way to dress for wherever you’re going! 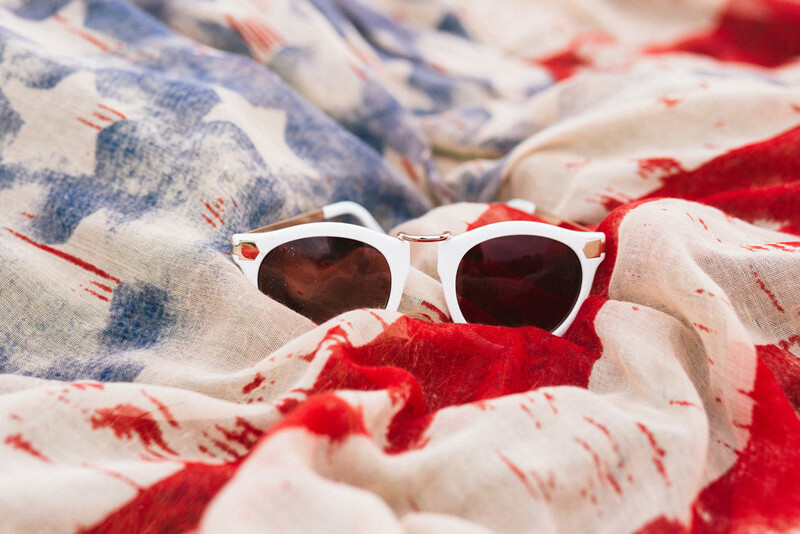 Point two: To make sure your outfit isn’t looking too “cheesy”, try avoiding the glitzy sparkling flag-shirts. Instead why not create your flag in solid colors with an edge of style- get that pop of blue with a blue cross body purse, and get your stripes on with red shorts & white classy crop top! 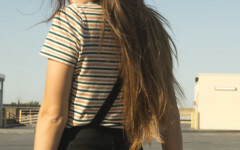 Crop tops are great for dressing up or down. Or even take a striped blue or red flannel and make a DIY dress out of it and add a statement necklace to the look! I’d venture to say you can pull it off with an adorable pair of red shoes with a clean A-line blue dress and a white throw on jacket/vest. Point three: If you decide you do want to add a bolder piece (aka an American flag or blue stripes- after all we are celebrating!!) balance it with a neutral base. Still not feeling it? No problem, girl. Pop it up with some accessories! You can find an American-flag-like fabric at Walmart or some fabric store for about two bucks. I would recommend buying approximately two yards to be safe. 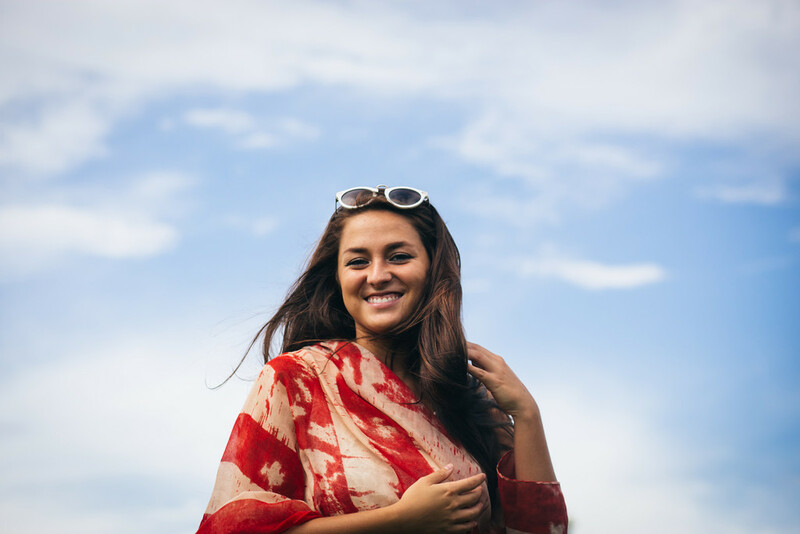 Once you’ve selected your “flag flair”, you can wrap the fabric up and tie it in your hair to make a cute bow. Or you can get some white knock off Keds/Vans at Walmart, Target, and/or H&M that are under 20 bucks (heck, if you’re lucky they may be under 10 bucks!). I would use these shoes and just exchange the shoelace to an American flag ribbon. As mentioned above you can practically make your own ribbon/shoelace by cutting out small long portions of fabric. I’ve always had this adorable idea that you could take a pair of any cheap flats, surfaced earrings and glue them with tiny bows on it. Whether it’s blue with white polka dots, red and white stripes, or even plain colored bows. Be sure to stay safe and have fun with the fire works, family, and friends! White Lace Dress: $20. Forever21 has the most comfiest white lace dress! White Cat Eye Sunglasses: $6. Everyone go to Forever21 to get these HIGH FASHION sunglasses! 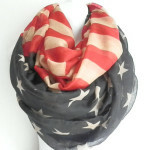 American Flag Scarf: $14. 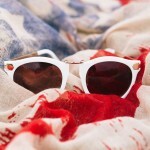 ESTY.com has the MUST-HAVE for the 4th of July! 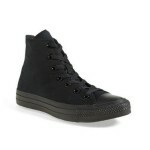 Chuck Taylor Black on Black High Top Converse: $55. Nordstrom has these amazing shoes! 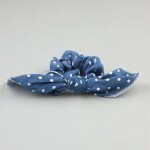 Blue and White Polka Dot Hair Tie: $4 (50% off). Go to Tillys and get the cutest ponytail-band ever!